DreamCompute is the #1 open source cloud on the web. An open source cloud is immediately compatible with thousands of tools and applications, with millions of ready-made instructions and recipes to achieve your goals. Open source is a core value at DreamHost. We incubated the scalable open source storage software Ceph, the networking software Astara and contribute to many OpenStack projects such as Neutron, Cinder, Oslo & Nova. Our cloud servers are top of the line with all the bells and whistles you'd expect. With OpenStack Astara, incubated in the DreamHost labs, customers can enable a private OCI Layer 2 network. Combined network virtualization technology with OpenStack's Neutron API means you'll have full control of your network from L2-L7, with isolation. Every server in DreamCompute is assigned an IPv6 address along with a public IPv4 address. Private networking is optional for security-enhanced and complex applications. Leveraging Ceph's copy-on-write technology, servers boot from thin-provisioned copies of OS images. That means efficient storage utilization and lightning fast boots. 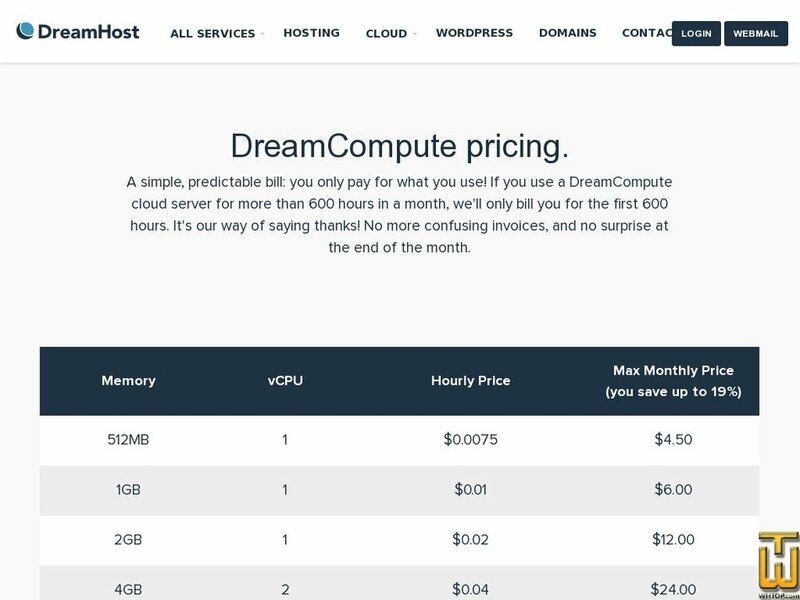 DreamCompute cloud servers are entirely powered by open source technologies like OpenStack, Ceph, and Astara. This open source cloud computing service is built to run all sorts of web and mobile applications, from digital media and ecommerce websites to big data analytics and the Internet of Things (IoT). DreamCompute is fully programmable, so if you can dream it, you can build it. Freedom to choose your OS: Ubuntu, Debian, CentOS, Fedora and more. DreamCompute was designed to help you achieve your goals. Whether you're just learning the basics of web development or are an expert developer of mobile apps, you'll find that DreamCompute is right for you. Programmatically deploy servers using OpenStack APIs or command-line tools. Deploy and configure your applications automatically with Ansible, Chef, Puppet or just cloud-init. Scale your apps both vertically and horizontally by creating servers with additional resources (memory, vCPU, disk volume, etc) or spin up additional servers to handle similar or different infrastructure workloads. Price: $ 6.57/mo. VAT exc.